Street dust samples were collected from 31 sampling sites in urban area of Chengdu. The distribution characters of OPEs were analyzed in line with functional districts and industrial layout of the city. 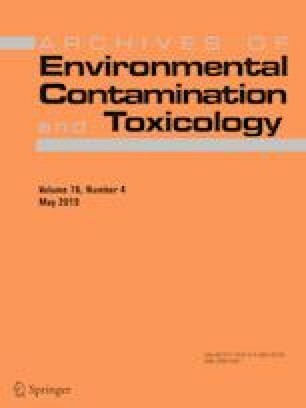 The results showed that the detection frequency was tris(2-carboxyethyl) phosphine (TCEP), trichloropropyl phosphate (TCPP), triphenyl phosphate (TPhP), and tributoxyethyl phosphate (TBEP) (100%) > tris(2-ethylhexyl) phosphate (TEHP) (93.5%) > tri-n-butyl phosphate (TnBP) (83.9%) > tridichloropropyl phosphate (TDCPP) (74.2%). The ∑7OPEs concentrations ranged from 94.0 to 1484.6 ng/g (mean 512.9 ± 417.5 ng/g), and TBEP was the predominant pollutant, accounting for 27.9% of the ∑7OPEs. The highest concentrations were observed in the center, west, and northwest sides of the city. Besides, compared with outer area, the higher concentration in the 1st Ring Road reflected that emissions of OPEs might be associated with the population and consumption of commercial products. The correlations between monomers were statistically significant (p < 0.05) for TnBP/TCPP (p = 0.002), TCEP/TCPP (p = 0.026), and TCEP/TPhP (p = 0.033). The exposure level in adults was 0.11 ng/(kg bw day), and in children was 0.20 ng/(kg bw day) while hand-to-mouth was the primary mode of transmission. The Risk Quotients (RQs) of OPEs were 5.35 × 10−10–1.46 × 10−5 and 4.99 × 10−10–2.82 × 10−5 for adults and children respectively, with no potential risk. The authors received financial support from the National Natural Science Fund (41831285, 41773072, 21407014), Science and Technology Support Program of Sichuan Province (2015GZ0240), and the Key Laboratory Fund for Atmospheric Pollution Control and Environmental Simulation of Chengdu University of Information Technology (KFKT2016001).